Found 3 file extension associations related to PhotoStyler and 3 file formats developed specifically for use with PhotoStyler. Do you need the power to manipulate and change photographic content? 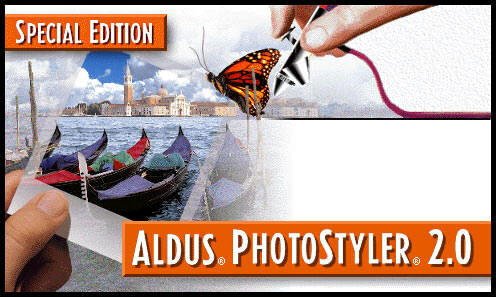 Cheer up, because it is available in Aldus PhotoStyler. After installing and running Aldus PhotoStyler, I was amazed at the multitude of effects I could produce on, or with, any photographic image. The PhotoStyler software seems to be old or discontinued. If you need more information please contact the developers of PhotoStyler (Ulead Systems), or check out their product website.